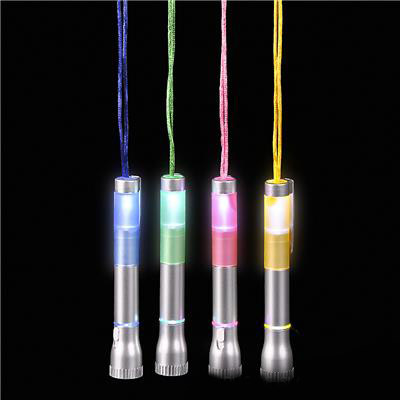 The light up pen necklace with LED is a product that gives itself very well as a gift. It is very convenient since it can be used in places when travelling by plane, during a power outage or simply in a dimly lit work environment. 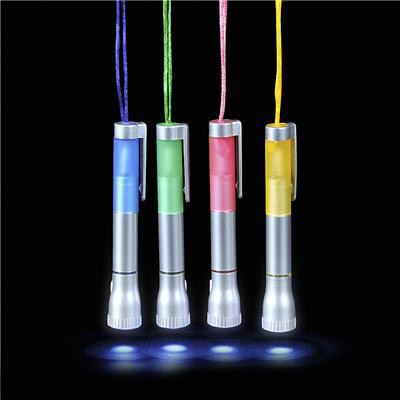 The LED light pen fits well in a handbag or you can hang it on your neck. 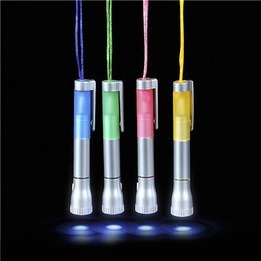 This light accessory has 3 replaceable LR41 batteries. The pencil measures 5 inches long and the cord made of nylon measures 17 inches long. The pencils are sold in packs of 12. The pencils are all silver, but the corks and cords are assorted colors (green, pink, blue, yellow). To activate the light of the pencil and the mini flashlight, you just have to weigh on the on / off button on the side of the mini flashlight. This luminous accessory is not recommended for children under 5 years old.